CLOSEOUTS. 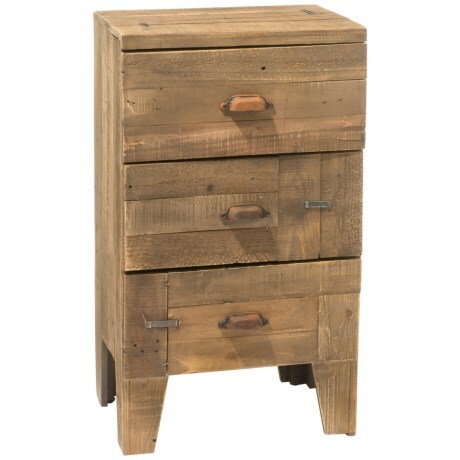 Go vintage in style and storage with this Three Hands three-drawer wood storage side table, made from natural and"patched upand" wood with three drawers of storage space. Available Colors: NATURAL.